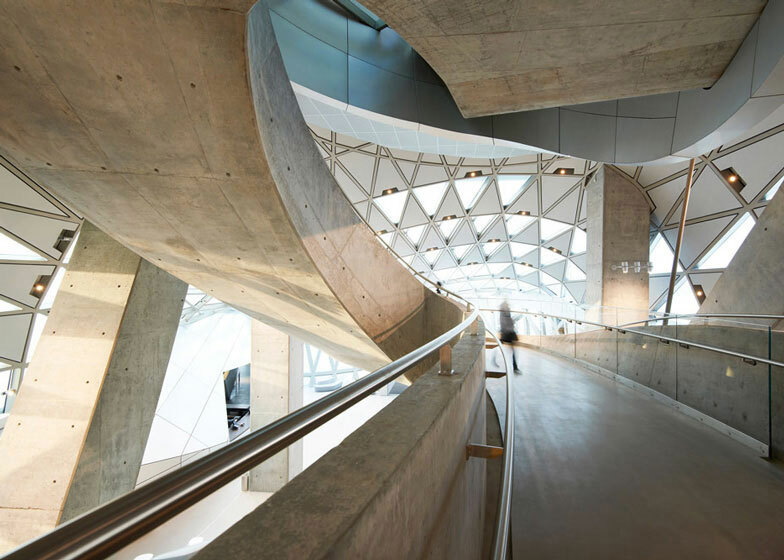 Austrian firm Coop Himmelb(l)au’s recently completed “House of Music” showcases architecture’s ability to serve as a physical representation of music. The new venue hall and music school is located on the edge of Denmark’s shallow Limfjord, offering spectacular views to students and patrons. 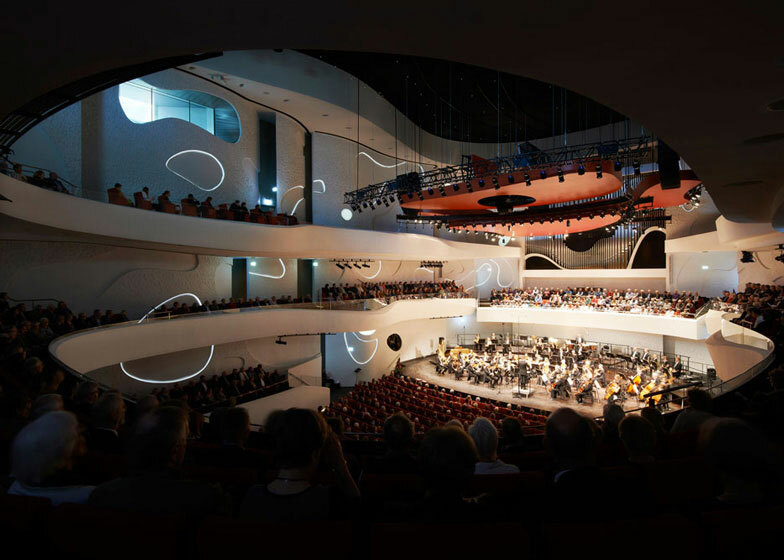 Open space design allows connectedness between the music school and the venue hall that accommodates an audience of 1,300. The curvaceous interior serves as a contrasting element to the exterior’s distinct cubic shape. 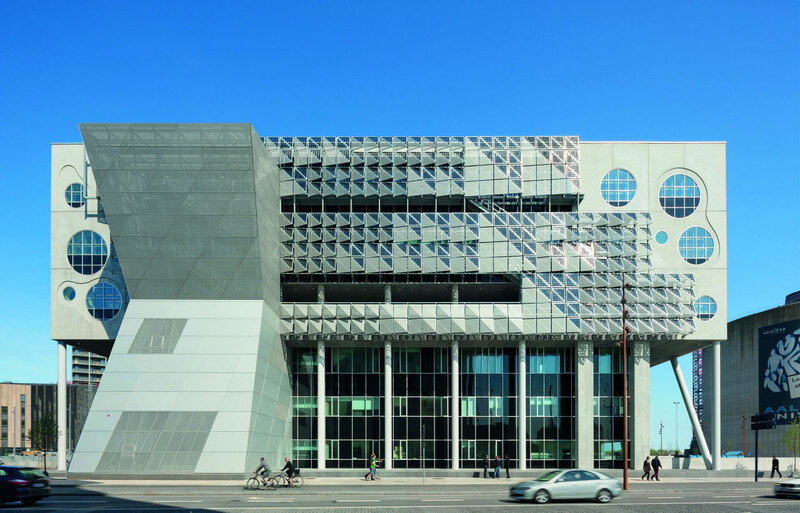 Alucobond NaturAL Brushed is used throughout the structure both in exterior and interior applications. The Brushed finish amplifies the natural beauty and character of aluminum to enhance the design of the architectural project. When entering this colossal structure, visitors walk a winding concrete staircase that sporadically allows breathtaking views of the neighboring fjord. 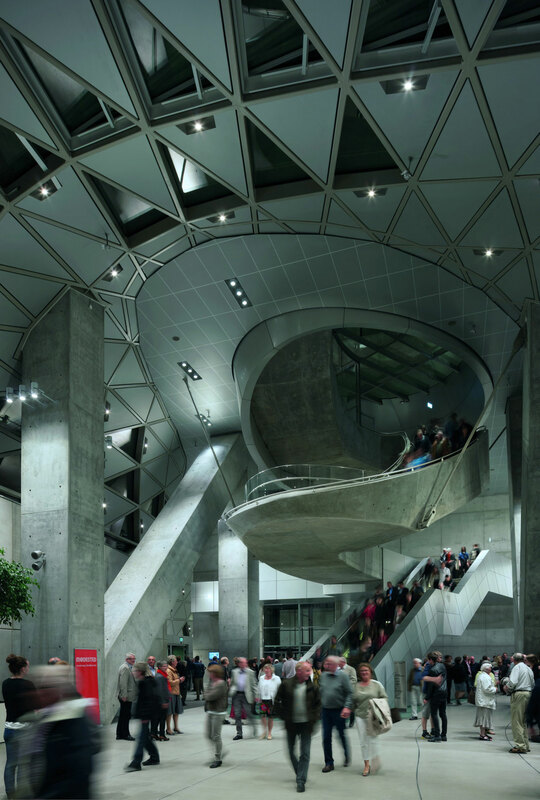 A central foyer creates a mutual meeting space where the audience, artists, students and teachers can connect. The building itself represents unity. Unity exists between the audience and the artists, the students and the faculty, and between architecture and music itself. 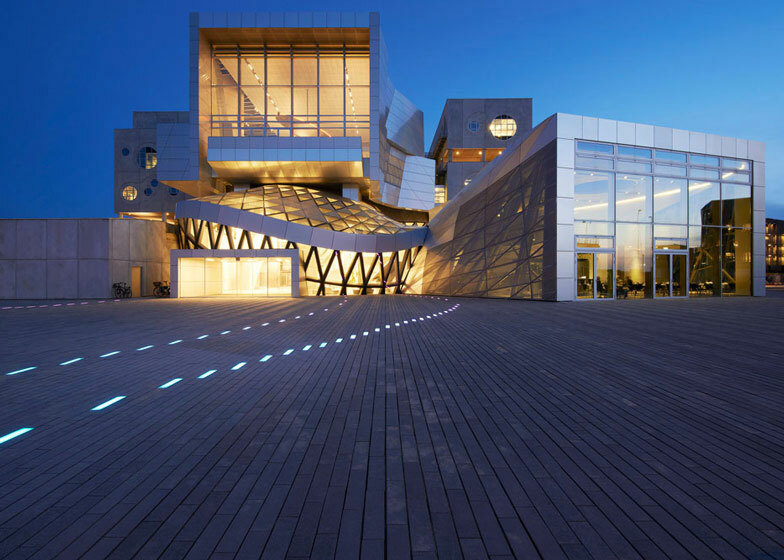 The House of Music, ceremoniously opened by the Danish Queen, featured a grandiose thirteen-day music and art-filled event.